Natures masterpiece. Incredible 240 acre Mount Baldy property offering phenomenal panoramic views of the Pacific Ocean, Olympic Peninsula, Mount Baker, and Shawnigan Lake. A unique opportunity to own a stunning piece of the magnificent West Coast. Development potential. Build your dream ch�teau on terraced land, the perfect setting for a private estate or winery. Local attractions include world class wineries and golf, the five star Aerie Resort, and several shopping villages. 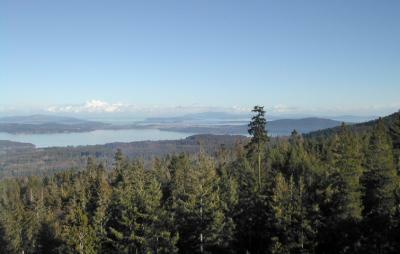 Exceptionally private and tranquil, yet just 35 minutes from downtown Victoria, and only an hour by plane to Seattle. A helipad offers fly in, fly out convenience. The possibilities for this extraordinary property are endless. Awaiting your vision.